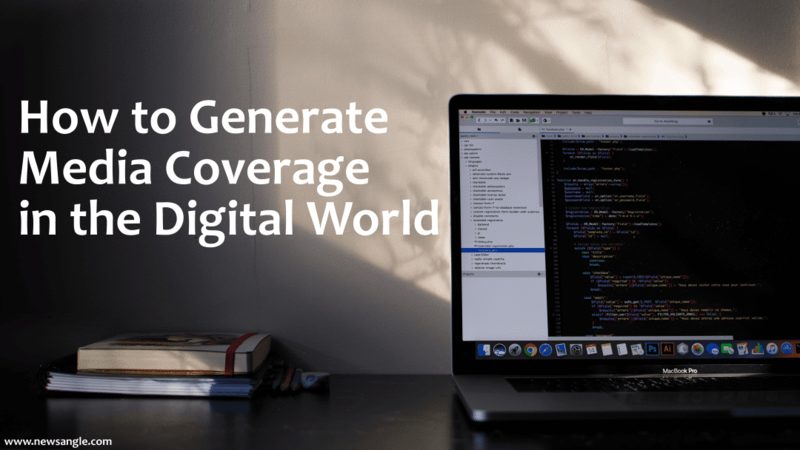 Even in today’s digital world, earned media coverage is still an important tool in your marketing and communications toolkit. Has the field experienced shifts with shrinking newsrooms and 24-hour news cycles? Of course. So, too, must our approach to media relations evolve. But eschewing media relations is a missed opportunity. Someone wants to hear and share your story. When a media relations strategy is well-planned and true relationships are developed, the benefits far outweigh the fear of the unknowns. With a modest amount of planning, you can strategically generate positive coverage to boost awareness of your corporate and personal brands. Media coverage also serves as a powerful, third-party endorsement and can help drive business leads. What are you waiting for? Become a Student: Like any good plan, a media relations plan starts with research. Read local and national newspapers and business journals. Listen to radio shows with audiences that align with your target market. Watch local television news segments, as well as national broadcast and cable shows. Don’t forget industry trade magazines. Determine who covers your beat. Look for patterns in coverage, and begin to understand which pet projects are near and dear to each reporter’s heart. Don’t dismiss blogs as simply servicing a niche audience. You would be surprised to learn how many mainstream media stories start with reporters following industry blogs, seeing a post about a business trend or industry development that interests them. Find those bloggers and make sure they are included on your media lists. Build Relationships: Thanks to social media, it’s easy to begin to establish relationships with the media. Locate and follow on social networks like Facebook, Twitter, and Instagram, and follow them and if they have one, read their blog. Engage by liking, sharing, and commenting on their posts, and don’t forget to be of service. Now that you know their interests, be sure to share news tips with them and connect them with resources other than yourself to build credibility. Now that you’ve laid the foundation, you’re able to make your pitch. Choose the Right Contact: You’ve done your homework. Review your contacts carefully and choose the right reporters and editors for your pitch. Avoid spamming the media—if your topic isn’t included on their beat, don’t send the pitch! Craft the Pitch: Most reporters prefer an email contact to start. Craft a short, customized pitch note, addressed directly to the reporter. Again, no email blasts here. If possible, refer to your relationship, or a recent story you read. But never , ever lie. A reporter can see right through a pitch from a person who professes to be an avid reader or viewer, but is not. Think like a reporter. Let them know why this story is a fit for them and their publication. Provide an individualized angle, if possible. Let them know what you and your company are doing that differentiates you—how you are unique. Include information as to why it will benefit readers, listeners, or viewers. Make it easy for them to sell the story their editor. Quality content is key. Below the pitch, paste the text of the release, if you have one. Repeat after me: No attachments! And be sure to use a creative, personalized subject line to capture their attention. For example, a clever twist on the headline can work if you keep clear, short, creative. Remember, you want to create a relationship with key reporters and bloggers—make sure your name and not your company’s name appears in the From field of the email. There’s also opportunity to think outside the inbox when it comes to pitching. Some reporters accept pitches via social media, as well. Some prefer phone. That’s why it’s important to get to know them in your research phase. Make it Visual: We live in a visual world. Whether in the form of photos, videos or infographics, people are consuming visual content at ever-increasing rates. Make it easy for editors and reporters by providing visuals they can use in the story. Localize the Story: Need a time-tested pitch? Watch and read national news. Most reporters and editors are eager to put a local slant on a major, national story. Think to yourself: Can I provide a local angle to this story? If you can, you’ll have a great chance to get ink. Follow-up: If you didn’t hear back, it may just mean the reporter didn’t see or hasn’t yet gotten to your email. After a few days, drop a short email message, or pick up the phone to call. Yes, the phone. You’ll be surprised by how many journalists still answer their own phones or listen carefully to their voice mails. If you’re calling, practice your conversation in advance. Do not call, or email, any reporter when they are on deadline or before a newscast. Be prepared to quickly excuse yourself if you call at an inconvenient moment. Your goal is to secure an interview that will result in a story and a positive contact with the reporter. Interrupting them on deadline won’t advance your cause. Prepare for the Interview: Remember, you are the expert. To help you stay on point, prepare two or three important messages you want to convey. More than three gives people too much to process. Remember to be concise. When framing your key messages, be sure to state your organization’s name every time you answer a question. For radio and television, try to keep answers between six and 20 seconds long. You won’t know which response will be used, so each must be able to stand alone. For print, make sure you don’t ramble, and give several strong quotes to tweet. Use clear, distinct, succinct phrases that can be repeated quickly, easily and often. Look at each pitch, interview and placement as an opportunity. Too many executives view an interview with a reporter as a threat. It’s not. Media relations can be an important element in your long-term, strategic marketing plan. Positive stories will lead to higher visibility and increase your bottom line.